I have, in fact, already attempted to herd the fantasists into some verisimilitude of historical accuracy or other in my previous blog on the subject where I discussed the actual dates of the Regency, in my so aptly titled blog, What exactly is the Regency, anyway? And you would have thought that would be the end of it. Well, if you thought that, you’d be wrong. Now I hear–courtesy of the ubiquitous grapevine that is the internet–that one or other or several of our charming colonial cousins are insisting at some length and indeed volume that the Regency actually started in the late 18th century and that history isn’t the only criterion. Or something. To which I feel forced to ask, therefore, how are you defining the word Regency? What does the word, in fact, mean, when you’re using it? Are you using it in reference to a period of time during which George III had been found to have lost his senses, irreparably impairing his ability to govern and his son and heir was made acting head of state, aka the Regent? Then you would be talking, as I have outlined, of a period beginning 5 February 1811 when the Regency Act became law and the death of the king in 1820. Or, you could stretch the point and date it slightly earlier, beginning-ish a year or so earlier, when George III’s mental health began to deteriorate as it had previously and his son and heir stepped in ex officio to keep things ticking over and running smoothly–it was a time of war, with all the matters of state that entails–until such time as his father recovered or his condition stabilised. But what if you don’t care a jot about history? Fair enough. Are you speaking culturally? What if you’re talking about architecture? Or furniture design? 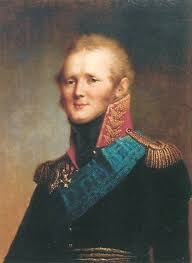 Or when Napoleon was gallivanting about the Continent calling himself Emperor? What if, indeed, when you say Regency you’re actually picturing in your mind a chappie with his hair cropped and unpowdered, wearing a high white cravat constructed of heavily starched linen about his neck, a high crowned bevor on his head (which looks quite similar to our top hats), a tightly fitted tailored wool coat, a plain waistcoat and very tight buckskin breeches? What if that’s what Regency means to you? Well, that definition of Regency would date the beginning of said period with the arrival of Mr. George Brummell in London and his appearance–which shocked his fellow members at White’s, particularly those of an older generation than himself–dressed as above. 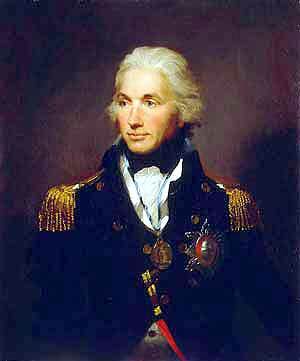 Brummell bought his house in Chesterfield Street in 1799. He also became a member of White’s Club in that year. Though it wasn’t until 1802-3 that Londoners were treated to the first public appearance of the strangulation device known as the starched cravat. He had also cropped his hair by that point. And like many of his generation, he was no longer using powder–which was then heavily taxed to pay for the already long war with France. 1802-3 is also the year that the French Empire waist made a strong showing in ladies wear, here in England. The Peace of Amiens with France meant that travel was briefly possibly for those of means and what they did was pop over to France for a spot of shopping. The fashion for dressing in white muslin was not new–Marie Antoinette had swathed herself in layers of white muslin–but the simpler silhouette we associate with the early 19th century was. If you’re talking about furniture design, well, again the dates aren’t what you’d expect. We associate the designs of Thomas Sheraton with the best of the period, yet his famous book of designs was not published until 1812 and it was published posthumously. Was William Pitt a Regency gentleman? He was Prime Minister (until his death in 1806) during all the early years of the wars with France and Napoleon, yet while he lived and worked, George III retained a firm grip on the reins of government. 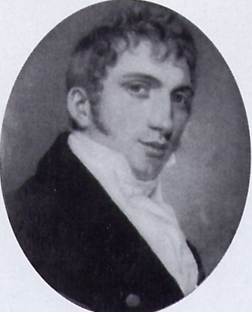 Viscount Castlereagh, husband to one of Almack’s Lady Patronesses, and a political force of incalculable stature powdered his hair all his life. And he didn’t drink to excess. He hardly drank at all and he never drank spirits, though he was one person the Prince Regent considered a close and trusted friend. Not what one would expect necessarily, is it? Or perhaps the word Regency indicates to you a certain sexual license and profligacy as exemplified by the Prince of Wales and frequently lampooned in the London newspapers and cartoons of the era. Hmn. I hate to be the bearer of bad tidings and all that, but the previous generation’s morals, particularly those of the Whig aristocracy, were a great deal more…ah…exciting than those of the Prince Regent. Check out the doings at Chatsworth when Prinny was yet a spotty adolescent living at Kew, if you doubt me–they make the poor man appear positively staid. Moreover, yes, I know that the Prince was considered universally unpopular and that is the picture one will arrive at if one relies solely on the London media–which was Radical and libellous by any standard. But here’s the thing–I was recently reading about a trip the Tsar and the Prince Regent made to Oxford during the summer of 1814. Anyway, the Tsar left the dinner and parties early and flounced back to London (yes, it was rude–he was good at that!) because what he particularly liked was fawning adulation and the applause of the crowds–and he loved London for that. 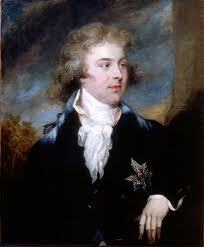 The London crowds adored him and booed the Prince Regent. Yet in Oxford, the crowds were wild in their support for…yes, you guessed it…the Prince Regent, and loudly cheered him wherever he went, even as they ignored the Tsar. And the Tsar didn’t like that. Which begs the question–did the London journalists and satirists actually speak for and reflect public opinion at the time or did they just shout the loudest and longest, drowning out all other voices? And was there such a thing as public opinion in the early 19th century, anyway? I could, of course, list dozens of more anomalies…and I’m happy to do so…but I think what I’m most trying to say is that for all that the word Regency is today used quite loosely to designate a period of time-ish, historical reality isn’t like that. Nothing happens all at once–and certainly not in a neatly contained box with dated end-papers put there for the convenience of later generations’ school essays. Change occurs gradually and often generationally. 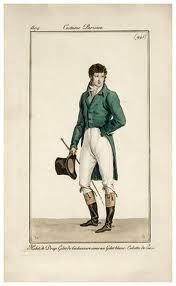 Beau Brummell may have introduced his version of menswear and its astonishing wonder of the clean world, the cravat, in 1802, but not everybody hopped on the bandwagon and suddenly dressed like that. So, back to the definition? Is that any clearer? I don’t know…I hope so. But I will tell you one more thing. Regardless of what they may wish had happened, the United States did not have a Regency period. And do you know why? Because in order to have a Regency, you require a king or an emperor kind of person who is in need of someone to run things for him while he’s not of age or of mental ability…and a king is one thing America did not have–they’d taken care of that by 1783. This entry was posted in History and tagged Beau Brummell, British political history, Castlereagh, Historical Fiction, Prince Regent, Regency menswear. Then as I started to research my timelines for the period I saw that George III first had a bout of illness that could have forced a Regency in 1788. To me that became a fitting place to plant my start, and then I could not see much difference between George IV and William, too close brothers, so that the change to Victorian marked the end of the era, 1837. I think we can call the Regency those 10 years when George, as Prince of Wales took over for his incapacitated father. But that each of us who are involved in crafting from the sources of the time now have our own broad view of the period of the Regency Era. For many differing reasons. But also, because the Prince was so hated and misrepresented during his lifetime, the word can be almost a derogatory term–despite the fact that anyone who has studied any collection of the writings of the Prince’s most voluble detractors generally finds that these folks often wrote the most scurrilous lies about those they didn’t like with impunity–they spread the bile pretty generously and thus their comments must be taken as no more than playing to their own galleries–oh, and they always appear to harbour the strongest opinions about subjects about which they knew the least. Whilst it may be tempting to place the beginning of the Regency with the onset of George III’s health issues, I would avoid such a course–rather like the plague. Because frankly, that could all too easily end with one placing the beginning of the era at a time when Prince George was a young child. And that’s just silly. Because a child cannot and could not then be named a Regent. Equally, to locate it as beginning before the onset of the French Revolution also strikes me as inconceivable as so much of Britain’s mindset during the period and so many of the political, cultural and military developments of the age come about a direct British response to French Continental aggression. The Revolution got under way in July 1789–though it took a few years to reach the nadir of genocidal violence and military aggression which brought Britain into the greater conflict…Yet it is that very isolation as France’s one constant opponant which proves the breeding ground for so many of the innovations of style and culture which one would say typifies the period. So, if you’re asking, I stick ruthlessly with the dates of the actual Regency, and if I can use a different and more accurate term, I do so. As for William being indisguishable from his elder brother, that may be the view from across the Pond, but it is so very much NOT the view from here that I can’t even fathom what sources it would derive from. William was greatly loved as a monarch, as was Queen Adelaide, his wife. Many of the cultural and moral shifts associated with Victoria were begun during his reign and whilst he may have drunk too much, it might be fairer to ask of the age, Who didn’t? What? The United States did not have a Regency period!?!? 😉 Thanks for the post. A great and informative article. As a new writer, and an old reader, of the Regency period I’ve considered the start of the period in the early 1800’s. The end of the period would be when Victoria became queen. That is, I believe, the general view…funny then to realise how inaccurate that is, isn’t it? And that the actual Regency lasted only nine years out of a total 37-year period. Lovely post. Thank you for pointing out that the Regency period was not American. Ah, this is very interesting- will have to investigate Jefferson’s presidency further- even though it largely falls outside my period. That period I would probably once have called Regency, back in the day when I was reading and aspiring to write Regencies. Nowadays I’d call it Georgian, if forced to put a name on it- but that’s not really much more accurate since so much of the action takes place far from England and in places where the average person wouldn’t have known or cared that England had a king named George. If you’re interested in Jefferson’s presidency from a non-American point of view, may I recommend Andrew Lambert’s The Challenge, which places Jefferson and the War of 1812 within the wider context of the era? Very enjoyable. For romance contest purposes, we often use an “extended Regency” which can sometimes begin as early as 1789 (so it really starts with the French Revolution) and occasionally ends as late as when Victoria came to the throne. Excellent post, MM. I freely admit to not being overly finicky about defining the term Regency (perhaps because I’m one of your charming colonial cousins) but it does annoy me terribly when people talk about Regency events, styles, or people as Victorian. I think I actually cringe when that occurs. You are clearly more moderate than self in your reactions to historical inaccuracy/ignorance. I throw things. And explete. At some length. Interesting. I love the intricacies of history and culture. And I love the Regency romance. Been thinking about all this, and wondering… I know I learned the term Regency (as we’re discussing it here) from the description of Georgette Heyer’s romances — and I’m pretty sure people included most of her romances in that bucket, so to speak. Not the medieval ones, but everything from The Masqueraders and These Old Shades, which are mid 18th C, to those which took place in the years after Waterloo, Quite a few take place between 1789 and 1811… Anyway, I’m wondering if the Regency came to mean what it does in many readers’ minds because of the popularity of Heyer’s romances, or if there were other influences… ??? I agree absolutely about regency being a much over-used term. I prefer to use ‘georgian’ or the name of the monarch reigning. As an erstwhile antique dealer you see these terms applied to furniture, and ‘federal’ generally substitutes for georgian/regency in the US. I recall going an antique auction in Alberta which was been run by a firm which specialised in farm auctions. When a fine flame mahogany cellaret sideboard came up, dated about 1825, the auctioneer called it “Georgian – all the way from Georgia”. I’m rambling again but one more anecdote – on American Antiques Roadshow, which I can barely stand to watch I’m afraid, an Edwardian piece was described as “belly poke”. Scratched my head a bit – aaah! “belle epoch”. Laughing very hard at that! Amazing! Belly poke!